How about a short cruise getaway? Why not? For a seasoned cruiser, a short cruise is not on his/her short list. But a short cruise vacation is not for veteran cruisers. A shorter than usual cruise is for you: first-timer cruisers, vacation-deprived humans and groups like millennials that enjoy new adventures but have little time to get away. Why A Short Cruise Getaway? Flexibility in taking time-off from work is a big win for employers and employees. So, you have never cruised before but you’ve heard some great things about cruising - and probably a few negative things too. For the sake of this webpage and based on my own experience, the good that you’ve heard overwhelms the bad. 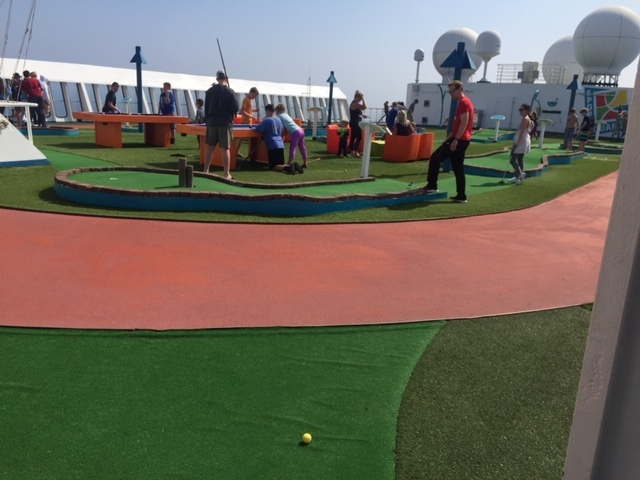 Consequently, you have been thinking about getting your family on a cruise. 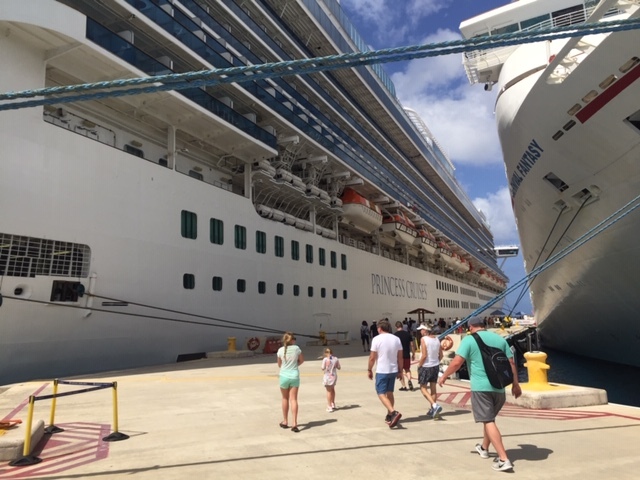 Your answer: a short cruise getaway! A short cruise vacation is for 3- or 4-nights to places such as the Bahamas, or one port of call in the Western or Eastern Caribbean. 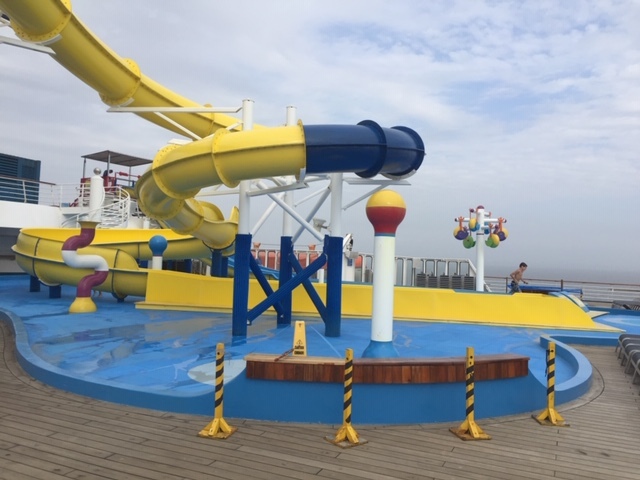 You will pay one price for your cruise ticket and then your family will have accommodations, all the food they want, fun activities and amenities and an opportunity to visit a new country or two. The only extra thing you should expect to pay is the shipboard gratuity that is generally added to your account. You do not need to buy anything else, unless you desire certain “luxury” items such as soda, alcohol, a spa treatment, or a generally failing stint in the casino. Your aim should be to board a short cruise vacation within a reasonable driving distance. If you live a good way from one of the cruise ports, then you must factor in airfare. Short cruise escapes also work well for those deprived of vacation. Hey, you! When was the last time you took some time for yourself? Has your spouse been bugging you about vacation? How about those children? Those poor babies! All work and no play makes Jack or Jill really dull! 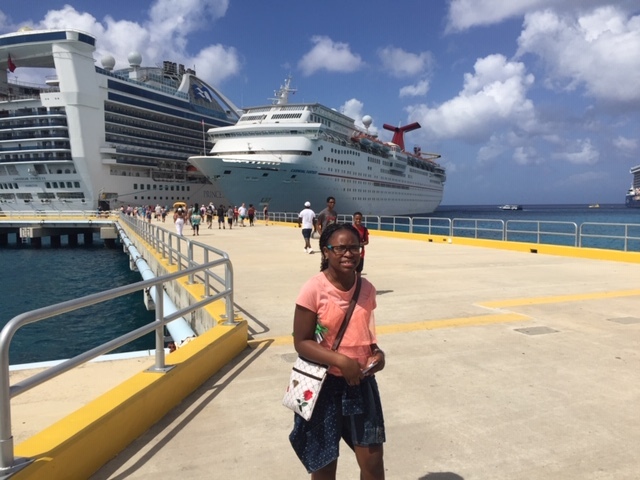 The great news is that you can plan a short cruise vacation and get away, without feeling that everything will fall apart before you get back. Plan for a long weekend getaway or a few days off during the week. There are short cruise itineraries that will accommodate your schedule. Talking about accommodating your schedule, how about those groups such as millennials that long for adventure, new experiences, but want to remain mindful of racing to become the next billionaire? Short cruises work for you too! Some population groups such as millennials will discover that two or three short vacations per year will do you great wonders. It’s understandable that you are focused on climbing ahead in your career. However, you know how much you long for new and fulfilling experiences outside of work. 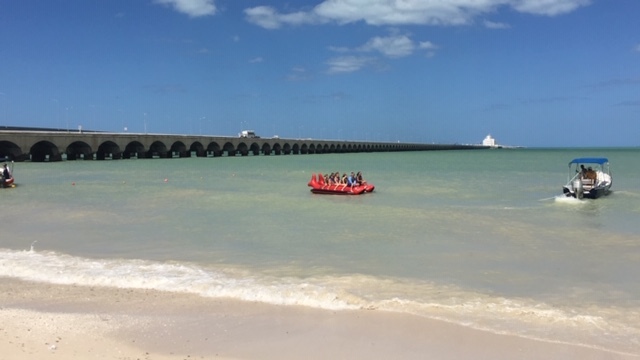 Try a weekend cruise vacation! Two opportunities to visit new places, meet new people, explore new beaches or other sites, and indulge new cultures. Now that you know you should get away, and are ready to go, let’s look at some short cruise itineraries. The biggest names in the cruise industry offer short cruise sailings. Carnival Cruise Line offers 3- and 4-night cruises to ports of call in the Bahamas, Cuba and Mexico. Ready To Book A Short Cruise Vacation? There are several ways to book your cruise vacation, but the best option is to check with your travel agent. If you do not have one, then contact the respective cruise line or let us help. I’ve been on several cruises and I’m excited to become your travel consultant. Please use the form below to send me a cruise quote request and I’ll get you ready to cruise. Thanks for taking the time to read this page. Even better, I hope you’ll take my advice and book your short cruise getaway today. When you return, please come back to this website and tell me about it.